Around 2,700 photographers from a total of 104 different countries submitted entries to the Leica Oskar Barnack Award (LOBA) 2017. This year, the jury was again impressed by the large number of entrants and quality of the portfolios submitted to the competition. The winners of the 37th LOBA will receive their prizes in the course of a gala event in Berlin on 13 September. The works of all twelve finalists will then be on view again from 14 September to 15 October 2017 at a major exhibition in the ‘Neuen Schule für Fotografie’, Brunnenstrasse 188-190, 10119 Berlin. The LOBA Catalogue 2017, presenting the winners and finalists in detail with comprehensive portfolios and interview, will be published to accompany the exhibition. ‘The photo projects by the twelve finalists are characterised by enormous diversity. The way each of these photographers perceives the world, and how they artistically interpret the theme of the competition - the interaction between people and their environment – makes every portfolio unique in its own special way. 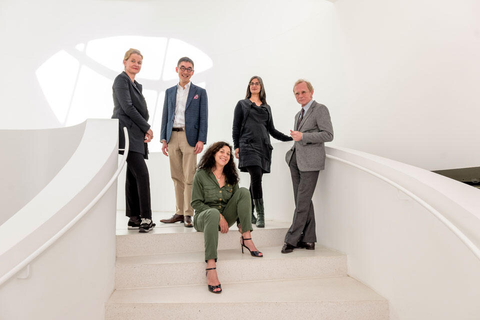 We are looking forward to sharing the delight of the finalists at the exciting award-giving ceremony and to the very promising major exhibition in Berlin’, reports Karin Rehn-Kaufmann, Art Director & Director General of Leica Galleries International. The complete portfolios from the categories ‘Leica Oskar Barnack Award’ and ‘Leica Oskar Barnack Award Newcomer’ can now be viewed here.